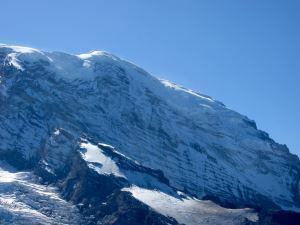 This peak is #2 on the Height List for Washington .A sub-summit on the northwest flank of the Mount Rainier massif. This dome is completely glaciated. When climbing up Libery Ridge, you top on on Liberty Cap before continuing along the plateau to the summit of Mount Rainier.